Located in Charlotte, NC this backyard oasis was designed and constructed by Archadeck. It includes a pool deck, screened porch, covered outdoor kitchen and dining area, firepit and raised spa deck. 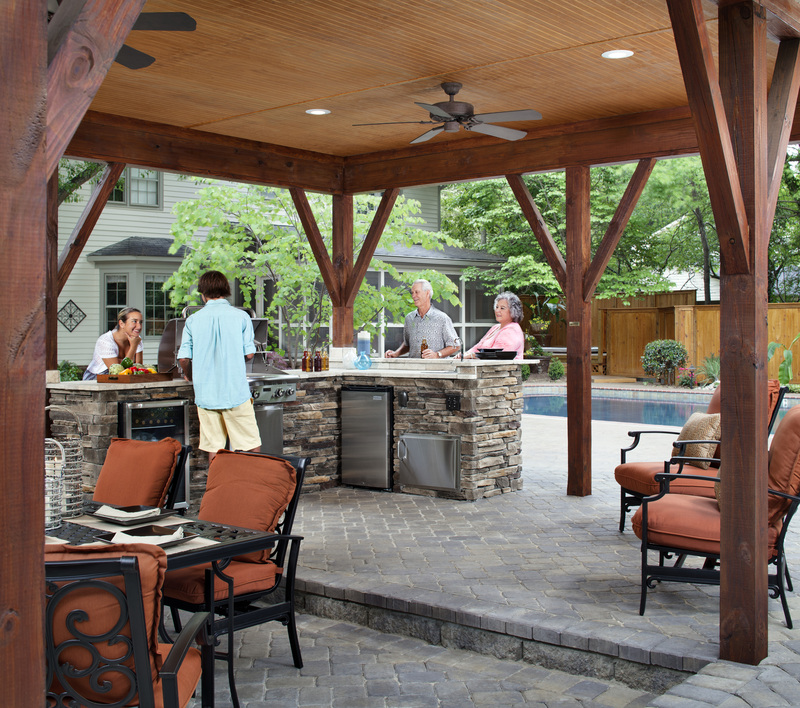 ← Want to cover an outdoor kitchen? How do I pick the best color for my screen porch? How much does an outdoor kitchen cost?